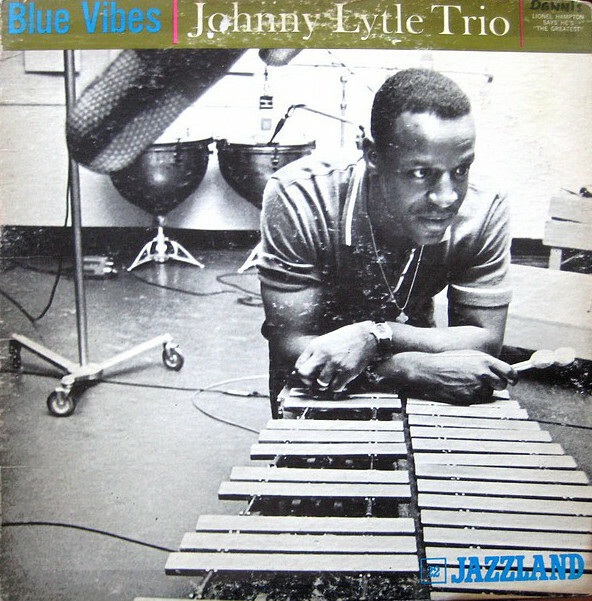 Blue Vibes propelled the career of the superb vibraphonist Johnny Lytle. Mount Rushmore of vibraphonists? 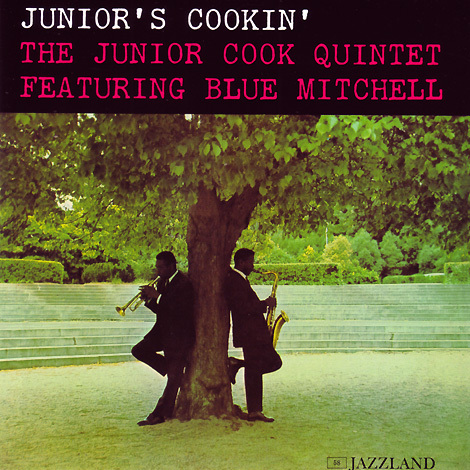 That would be Lionel Hampton, Milt Jackson, Dave Pike and Bobby Hutcherson. Agree? No, I hear you say, better start grinding an extra stone for Gary Burton. There were/are a lot of great vibe players. 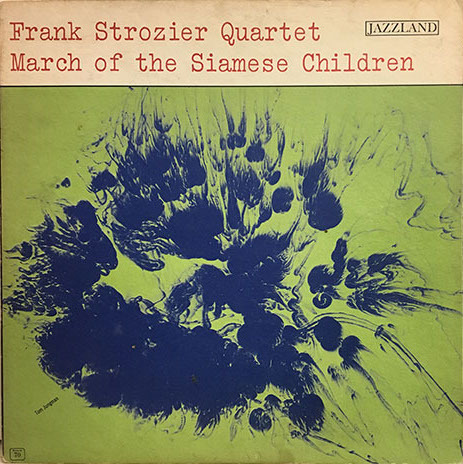 Red Norvo (who started out on xylophone), Teddy Charles, Terry Gibbs, Buddy Montgomery, Mike Mainieri, Steve Nelson and, in The Netherlands, Frits Landesbergen. The name of Johnny Lytle now and then still crops up, deservedly so. The Springfield, Ohio-born vibraphonist, (1925-1995) like Hampton and Landesbergen also an acclaimed drummer, was a reasonably popular artist on the rosters of the Riverside, Tuba and Solid State labels in the sixties, scoring especially well with The Village Caller (1963) and The Loop (1965). He was a professional boxer as well, battling well into the late fifties when Lytle was active as a drummer for Ray Charles, Jimmy Witherspoon and Gene Ammons. Nicknamed “Fast Hands” for his showmanship and remarkable agility, Lytle started recording steadily in 1960. It adds up. Good pugilists have a delicate sense of rhythm. And their fight is a dance, needs to swing and groove. The drums and the vibraphone share the percussive aspect, while melodic swing is paramount. Miles Davis was attracted to boxing for a number of reasons. No fights in the ring for Miles though, contrary to Jack Johnson, Red Garland, Johnny Lytle. One of Lytle’s tunes on his 1966 New And Groovy album is titled Selim. Miles spelled backwards, obviously. Lytle liked boxing and Miles Davis. Makes sense. I’m more into snooker and Miles Davis, which may seem nerdy, but that’s just what the Good Lord cued up for yours truly the Flophouse Floor Manager. His debut album Blue Vibes, which includes Milton Harris on organ and Albert “Tootie” Heath on drums, finds Lytle in straight-ahead jazz territory, less ‘soul jazzy’ than his mid-sixties efforts, and it’s a winner. Lytle offers a couple of proper ballad interpretations, Over The Rainbow and For Heaven’s Sake. The array of sounds that Lytle coaxes from the vibraphone, from dry, staccato notes, sustained bell-like sirens to eerie pre-sixties-soundtrack-ish phrases is surprising. How Lytle does it I don’t know! But the variation is effective and striking, like the unpredictable steps of Muhammad Ali. Standards like Autumn Leaves and Canadian Sunset are infested with healthy doses of groove and blues. In fact, the blues-based repertory of the Lytle compositions Blue Vibes and Mister Trundel and Milt Jackson’s Movin’ Nicely is what makes one eager to purchase this Jazzland vinyl. Or, if a quick buy is out of the question, run to the Spotify link below. The former‘s the best option. The latter, connected with Bluetooth to the speakers, might give one unsound bytes and blue vibes. No doubt there’s something about the combination of vibes, organ and drums. Harris knows when to scream, add slices of melodrama or back off into a corner. “Tootie” Heath adds a number of crazy rolls. The trio grooves thoroughly. It’s the balance between the fire of r&b and jazz sophistication that makes Blue Vibes such an enjoyable date.